Viewing is highly recommended of this Chain Free 2 bedroom first floor maisonette ideally located within walking distance to Bexleyheath town centre, train station and a number of popular schools. The property comprises of a lounge, kitchen, bathroom and two bedrooms. Additional benefits include gas central heating, a private rear garden backing onto open fields and a 900+ year lease. Viewing is highly recommended ENTRANCE HALL LOUNGE: 12' 5" x 12' 4" (3.81m x 3.78m) Radiator. Electric fire. Carpet. Double glazed window to rear. KITCHEN 7' 4" x 6' 0" (2.26m x 1.85m) Fitted range of base and wall units. Oven with hob and extractor hood over. Tiled walls. Vinyl floor. Double glazed window to rear. FIRST FLOOR LANDING: Carpet. Double glazed window to side. Radiator. BEDROOM 1: 12' 11" x 10' 2" (3.96m x 3.12m) Carpet. Radiator. Double glazed window to front. 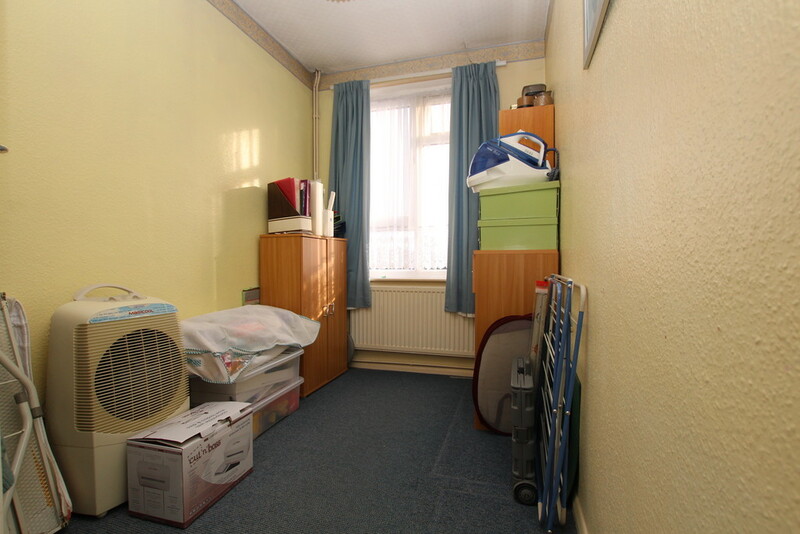 BERDROOM 2: 9' 8" x 6' 0" (2.95m x 1.83m) Carpet. Radiator. Double glazed window to front. BATHROOM: Panelled bath with shower over. Low level wc. Pedestal wash hand basin. Loft hatch. Fully tiled walls. Vinyl floor. Double glazed window to side. GARDEN: Private garden overlooking fields to rear. Laid to lawn. Shed. AGENTS NOTE: We are advised that the lease started on 17 February 1956 for a term of 999 years although this has not been verified and any potential buyer must satisfy themselves that the lease term is acceptable before exchange of contracts. Disclaimer: These particulars form no part of any contract and are issued as a general guide only. Main services and appliances have not been tested by the agents and no warranty is given by them as to working order or condition. All measurements are approximate and have been taken at the widest points unless otherwise stated. The accuracy of any floor plans published cannot be confirmed. Reference to tenure, building works, conversions, extensions, planning permission, building consents/regulations, service charges, ground rent, leases, fixtures, fittings and any statement contained in these particulars should be not be relied upon and must be verified by a legal representative or solicitor before any contract is entered into. DISCLAIMER Disclaimer: These particulars form no part of any contract and are issued as a general guide only. Main services and appliances have not been tested by the agents and no warranty is given by them as to working order or condition. All measurements are approximate and have been taken at the widest points unless otherwise stated. The accuracy of any floor plans published cannot be confirmed. Reference to tenure, building works, conversions, extensions, planning permission, building consents/regulations, service charges, ground rent, leases, fixtures, fittings and any statement contained in these particulars should be not be relied upon and must be verified by a legal representative or solicitor before any contract is entered into.